It should come as no surprise that adding a wacky bass-infused theme song and a laugh track can do a lot to change the dynamics of a television show. What was once a dark drama with its own moments of black comedy can become a full-blown laugh riot, though usually at inappropriate moments. 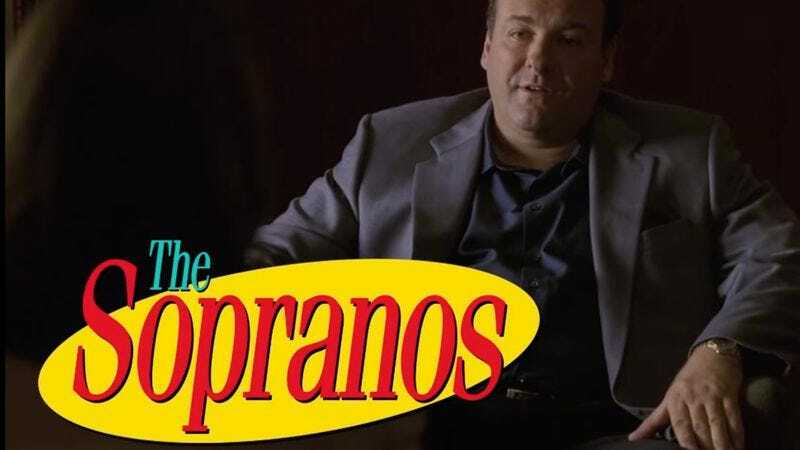 YouTuber UniversalPolymath has fused together The Sopranos with the timing and audience response of Seinfeld to form an unholy union. Tony struggles to support Janice as she begins taking anger management classes; the family decides to stage an intervention to deal with Christopher’s worsening drug problem; Georgie makes an unfortunate purchase at Rite Aid. So join in the laughter, loving, and learning with The Sopranos—America’s first family of funny.